Petit Design Co: What a Nightmare! 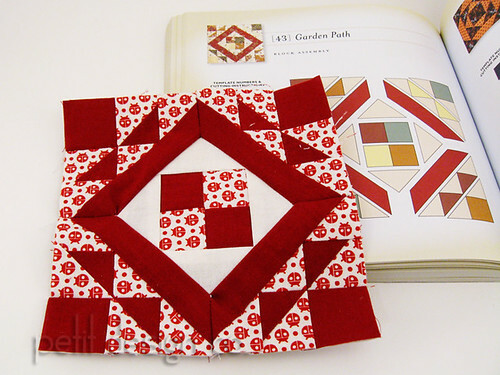 Last night I was determined to finish up block #43 from "The Farmer's Wife." That was a doozy of a block and I suggest you save it for when you are feeling a bit more confident about piecing such tiny little blocks with loads of pieces and y-seams. I ended up with 2 little puckers but I think I will go back and fix it later... much later. I've had enough of this block for now. It honestly wasn't that hard but there sure were a lot of pieces. Everything ended up perfect until I got to the y-seams. It all went down hill from there. It took me several hours to make this block but I was determined to not give up and to paper piece the darn block. Am I glad that's over! 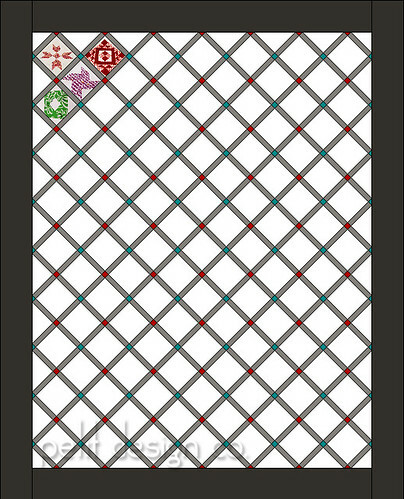 I am not sure what colors I will be using for the cornerstones, sashings or borders. For now I threw in some grays and of course red and aqua/teal. For now the blocks are placed in the exact spot they appear in the book, just to make it easy to track my progress, but I can already see that some blocks will have to be moved around to better distribute color and value. I also sent off this quilt back to it's owner. That is not a pantograph, it was done free motion. I hope this beautiful quilt makes someone really happy! 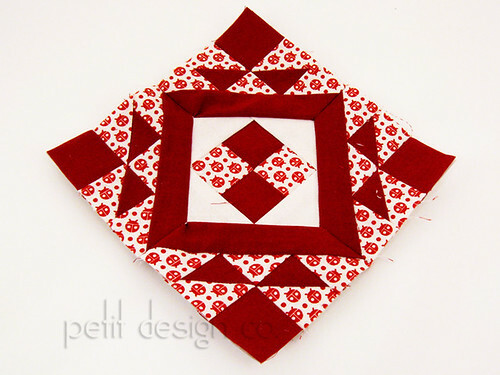 It is a beautiful block--even though it gave you fits! You did a great job Norma. Can't wait to get mine to you. I think I might let you choose a pattern. 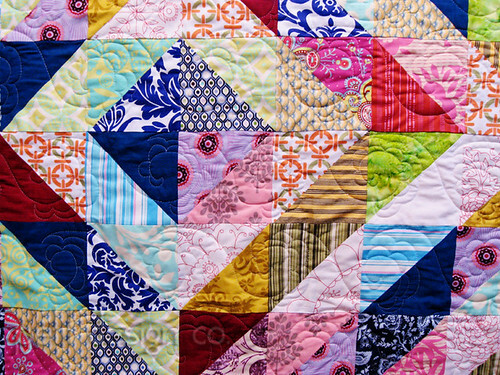 This is going to be my quilt right?!! Beautiful block. And I love seeing how you are using EQ to track your progress. Great idea.